Want a nutritious snack that can also pass as dessert? These gluten-free peanut butter oat bites contain the delicious combination of dark chocolate and peanut butter, making for a satisfying snack, and the rolled oats add a bit of soluble fiber. What I love most about these bites is the secret ingredient of matcha green tea powder, which packs in more antioxidants. In a medium mixing bowl, combine all dry ingredients: rolled oats, chia seeds, matcha powder, and cinnamon. Stir the mixture to combine well. Add in the peanut butter, maple syrup, and vanilla. Stir again until mixture is thoroughly combined. Place oat mixture into the refrigerator for 10 minutes. Take the oat mixture out of the refrigerator and roll them into balls, using a heaping tablespoon. This will make about 12 balls. Place back in the refrigerator for another 10 minutes to harden before dipping into chocolate. In a small sauce pot, add the chocolate chips, vanilla, and coconut creamer or milk. Turn heat to low and slowly melt the chocolate, stirring often. Cook on low until mixture is completely smooth. Be careful not to burn the mixture—keep an eye on it and don’t walk away! Take the oat bites out of the refrigerator and carefully dip each one into the melted chocolate on one side. Lie them flat on a baking sheet lined with foil after they have been dipped in chocolate. Place in the freezer to harden. Keep them in the refrigerator and enjoy when wanted. You can also keep them stored in the freezer if you want to enjoy them at a later time. These balls are scrumptious with peanut butter, but any nut butter would be equally as delicious. If you have a nut allergy, consider using sunflower seed butter instead. You can also feel free to use chunky instead of creamy peanut butter for an additional crunch. Although dark chocolate slightly increases the nutritional value of these bites, you can melt your personal favorite chocolate. Bittersweet chocolate is a good choice since it is not too sweet, given you already have ample sweetness from the maple syrup in the mixture. To make these naturally sweetened, swap out the maple syrup and use mashed up dates. To sweeten with dates, pour hot water over the dates in a small bowl and let sit for at least 15 minutes so they can soften. Drain excess water and mash up the dates with a fork until a smooth paste is formed. Add this paste into the oat mixture. You can also try using mashed ripe banana as an alternative natural sweetener. Alternatively, to cut down on sugar, use half the amount of maple syrup and add in unsweetened applesauce. The matcha powder flavor is almost undetectable but if you would like a stronger presence, simply add in another half teaspoon or so. If you have trouble finding matcha powder, omit altogether. This recipe is very simple and requires no baking. It is especially great in the summer time. To minimize the number of dishes used, mix all the ingredients for the oat mixture in one bowl. You can also save time by using chocolate chips—they are convenient to melt instead of having to chop up chocolate. The oat bites do not need to be refrigerated for any food safety reasons, but the chocolate will melt otherwise. Plus, it keeps the balls intact. Store them in the freezer, as you may not always finish the whole batch within a few days. This way, you can take one or two out as needed and they are as delicious frozen as they are thawed out. Enjoy these as a snack mid-day or for a light dessert in the evening. This decadent yet low-carb skillet peanut butter cinnamon spice cookie is the perfect treat for someone with diabetes. It takes less than ten minutes of prep time, has only five grams of sugar per serving, and is made with blood sugar lowering cinnamon. Most importantly, it’s delicious! In a large bowl, beat egg until slightly frothy. Whisk in the peanut butter, brown sugar, almond meal, vanilla extract, baking soda, cinnamon, ginger, and salt until well combined. Spray an ovenproof skillet lightly with nonstick spray. Pour batter into the skillet and spread evenly with a spatula. If desired, sprinkle the top with a few peanuts and press down slightly. Place cookie on a rack set in the center of the oven and bake 10-12 minutes until puffed and golden around the edges. Let cook 10 minutes before cutting and serving. This is one of my favorite treats to make because I always have the ingredients on hand! Whenever I’m craving something warm, gooey and sweet, I know this skillet cookie is only 20 minutes away. Even in your pantry is looking bare, this recipe is easy to adapt based on what you have on hand. You can use any type of nut butter—cashew butter and almond butter both work well. And if you’re in the unfortunate situation of running out of nut butter, you can make your own by blending a rounded cup of nuts with a tablespoon of oil in the food processor until if forms a creamy spread. 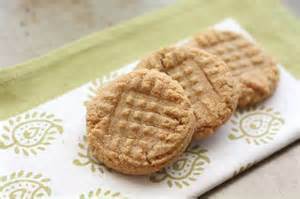 I made these with brown sugar, which has a richer flavor than white sugar, although you could certainly substitute it in a pinch. You could also use pure maple syrup or honey, but be sure to reduce the oven temperature by 25 degrees and cook it a couple minutes longer to prevent burning. If anyone in your household is nut free, you can still make this cookie—just swap in sesame butter and leave out the almond meal. Made with sunflower seeds, it’s perfect for those with tree nut allergies. For a vegan version, use a chia seed egg. Mix 1 tablespoon chia seeds with 3 tablespoons water and let it sit to gel for about 10 minutes before mixing in the other ingredients. This trick is a perfect one to remember next time you run out of eggs. If you’re feeling extra decadent, load this cookie up with lots of healthy add-ins. In the mood for something chocolatey? Swap the almond flour for ¼ cup cocoa powder, or stir in ½ cup chopped dark chocolate, which is rich in antioxidant polyphenols and flavanols. Want something fruity? Stir in a handful of frozen berries. This recipe is especially delicious with frozen wild blueberries. Make an extra nutty cookie with different kinds of nuts and seeds, like walnuts, sunflower seeds, and almonds. Add a handful or two of dried fruit along with those nuts to make a granola inspired cookie. My favorite way to enjoy this cookie is with a handful of shredded dried coconut and dark chocolate chips. This cookie is best when it’s slightly undercooked. The center might not look fully done when you take it out, but it will continue cooking as it cools. Be sure to use a nonstick or well seasoned cast iron skillet to prevent sticking. I would substitute truvia, or splenda for baking, instead of sugar. Mix together all of the wet ingredients. Place the 2 cups oats in the blender on high speed until ground into a flour. Mix together the oat flour with the salt and cinnamon. Mix the dry ingredients with the wet ingredients until fully combined and pour into a 8 x 8-inch baking dish (dish needn’t be greased). Melt chocolate with coconut oil over medium low heat. Remove from heat as soon as melted and pour evenly on top of the peanut butter layer. Bake for 18 minutes and allow to cool on the stovetop. Place in fridge to set for at least 2 hours. Bars should be stored in the fridge or the freezer. If stored in the freezer, allow to sit for about 15 minutes at room temperature before slicing. Enjoy! But according to the latest research, indulging in this delicious treat may actually be extremely beneficial to your heart. A 12-year observational study published in JAMA Internal Medicine showed that eating peanuts regularly can lower your risk of heart disease by as much as 21 percent. We have put out many articles stating that peanuts and peanut butter is one of the foods that diabetics should eat daily. That means eating 100% natural and sugar-free peanut butter may actually lower your chances of heart attack or stroke. The University of Connecticut conducted a 30-day study to see how broccoli affected the health of rats. They split the rats into two groups and fed both of them regular rat pellets. One of those groups was given regular water to drink; the other group was given a potent broccoli extract. After the study was over, they ran a few tests on both groups. One of those tests used oxygen deprivation as a way to simulate the effects of a heart attack. The Journal of Agricultural and Food Chemistry published a similar study using rats… only this time, they tested the effects of garlic. This study split the rats into three groups. One of those groups was given fresh garlic; another was fed dried and powdered garlic; and the last group was given no garlic at all. Just like the broccoli study, these researchers found that the rats who ate garlic performed much better when put through oxygen deprivation. So while any form of garlic will be good for you, eating it fresh will do the most good for your heart. Test-tube studies have shown that honey can actually slow the oxidation of LDL (low density lipoprotein) in human blood. This is probably because honey contains the same amount of antioxidants as spinach. Oxidation of LDL cholesterol plays a huge role in atherosclerosis…so getting in extra antioxidants will help prevent the narrowing of your arteries. If you’re looking for a delicious way to get all of these heart-healthy foods in one delicious meal, try this recipe on for size. Weighing in at only 225 calories a serving, this recipe has over 6 grams of fiber and nearly 10 grams of protein – so it will keep you full for hours after you eat. Whisk the water, honey, garlic, peanut butter, and soy sauce in a bowl until smooth. Heat the oil in a large skillet and add the bell pepper and broccoli. Sauté till soft. Pour the sauce over the broccoli and bell pepper mixture and serve. In addition to being incredibly filling, this crowd-pleasing dish is deceptively delicious – so no one will be able to guess how healthy it really is. You can easily throw this recipe together in less than 30 minutes – making it the perfect mid-week meal. I would substitue truvia, or splenda for baking, instead of sugar. 1. Preheat the oven to 350° and line a sheet pan with parchment paper. 2. Combine all ingredients in a large mixing bowl, mixing well to create the cookie dough. 3. Use a tablespoon to drop the spoonfuls of the dough 2 inches apart on the lined pan. Then use a fork to press the dough down, creating a criss-cross pattern on each cookie. 4. Bake for 10–12 minutes, or until cookies begin to brown. Let cool for 10 minutes before serving. It is important to let cool completely before removing from the pan and also be careful not to overcook as these cookies are inherently “crumbly”. These are almost 100% peanut butter, and that’s a very good thing! Which OIL can cause blindness? 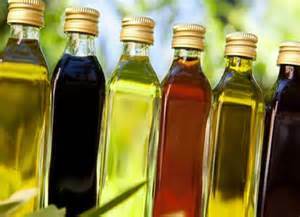 There remains a great deal of confusion around the so-called “healthy” cooking oil called canola. If you are still cooking with canola or eating foods that contain canola, you will want to read this article. There is no such thing as a naturally occurring plant named canola, but rather a plant that results from the super-hybridization (genetic modification) of the rapeseed plant, which is a member of the mustard family. As we reported earlier, oil from the rapeseed plant was originally used as a lubricant for steam engines and as a penetrating oil in the light rail industry. It was not meant for human consumption. Canola oil is an excellent insecticide, which is registered with the EPA. It is the primary ingredient in many “organic” pesticide products. Vegol Year-Round Pesticidal Oil is 96 percent canola oil. The label warns that if you get the product on your skin, you should rinse with water for 15 to 20 minutes, remove all contaminated clothing and then call poison control or a doctor for treatment advice. There is no such warning, however, on a bottle of canola oil found in the supermarket. In fact, the label on this product states that it contains 100 percent canola oil. It is interesting that a product that contains 96 percent canola can be so hazardous while a product that contains 100 percent is not hazardous at all. Although canola was not developed using biotechnology, the majority of what is grown today is from genetically modified seed so that it is able to withstand herbicides. In fact, canola oil is one of the most chemically altered foods in the American diet. Almost 90 percent of canola is genetically modified to be resistant to Roundup. Because food manufacturers are not required to tell you whether an item contains genetically modified substances or not, it is wise to assume that if a food item contains canola oil – it is genetically modified. Some common foods that contain canola oil are peanut butter, lunch meat, bread, salad dressing, bread, garlic salts, baked goods, french fries, diet shakes and bars and cereal. In addition, the omega-3 in canola oil is easily damaged by heat and will become rancid and foul-smelling. Manufacturers deodorize the oil with dangerous chemicals, which changes the omega-3 fat into trans fats. According to a study that analyzed canola and soybean oils, between .56 and 4.2 percent contain toxic trans fats. Of course, trans fats are insanely harmful and directly associated with a number of serious diseases, especially heart disease…. the number one killer in the world. This highly refined oil is also void of any real nutrient value – it has no positive nutritional impact on the body. It is also high in oxidized omega-6 fats, and omega-3 fats that we are unable to use. Although omega-6 fatty acids are essential, Americans consume 11-30 times more omega-6 fatty acids than omega-3′s – mostly in the form of partially hydrogenated oils. If we consume high amounts of omega-6′s, it may put the body at risk for life-threatening conditions such as cancer, hypertension, diabetes, heart disease, arthritis and a variety of autoimmune disorders. attacks and blindness stopped. The product was banned in Europe in 1991. Keep in mind the truth that the closer foods are to their natural state the better they are for us. Any food that has gone through industrial processing has had its personality changed and is no longer recognizable by the body or of much use to it. Substances that are of no use, such as those that have been denatured or hyper-processed, may also contain dangerous additives or by-products of the refining process. However, there is one oil that has been used for thousands of years and, in its most natural form, is not only delicious but jam packed with nutrients and therapeutic properties which are garnering the attention of both natural practitioners and mainline physicians alike. Coconut oil is like no other oil on this planet. Made by by pressing the raw meat of the coconut, this oil, although high in saturated fat, is translated into immediate energy in the body. It is a stable oil that is classified as a “functional food” – meaning that it provides a vast array of benefits beyond its nutritional content. Along with this energy comes a host of other valuable properties including antimicrobial, antiviral, anti-inflammatory, anticarcinogenic, anti-protozoa and antioxidant capabilities. Coconut oil has been proven to go head to head with the bacteria that cause ulcers, urinary tract infections, throat infections, pneumonia and gonorrhea. Coconut oil also kills fungus and yeasts that can cause such things as candidiasis, ringworm, athlete’s foot, thrush, diaper rash and other infections. In addition, coconut oil has been used as an effective remedy against tapeworms, lice, giardia and other parasites. Known quite simply as “the healthiest oil on this planet,” coconut oil is different in composition from other oils – this unique composition is what makes it so effective and healthy. All fats and oils are comprised of molecules known as fatty acids. Fatty acids can be classified one of two ways. The first way is by their saturation – there are saturated fats, monounsaturated fats and polyunsaturated fats. You can also classify fatty acids by the length of the carbon chain within each fatty acid – short chain, medium chain and long chain. Coconut oil is mostly medium-chain fatty acids (MCFAs), also called medium-chain triglycerides (MCTs). Most other fats or oils in our diets from both plant and animal sources are long-chain fatty acids (LCFAs). In fact, almost 98 – 100 percent of all fatty acids we consume are LCFAs. So, you might ask, what is wrong with a LCFA? The issue comes in when we look at how the body responds to the size of the chain. 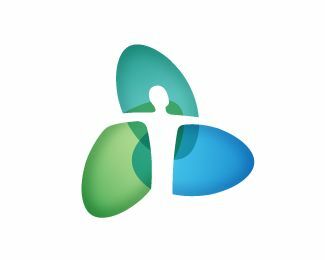 LCFAs are received differently in the body than MCFAs, which are absorbed quickly, transported in the portal blood directly to the liver, and able to be used for energy. In contrast, the longer chain fatty acids are carried through the lymph and are not readily available for energy, but rather stored as fat. But… coconut oil contains saturated fat, doesn’t it? Yes, it does. However, it is healthy saturated fat, and besides, it is actually a myth, all in the name of corporate profits, that saturated fat causes heart disease. The naturally occurring saturated fat that is in coconut oil actually promotes heart health, encourages weight loss, regulates blood sugar and supports thyroid function. Using coconut oil is as easy as substituting it for your old oil. The rich tropical taste is an added bonus – just be sure you purchase organic virgin coconut oil from a reputable dealer.